Bubble Print Board is an eco-friendly polypropylene sheet for the print, signage, fabrication and industrial markets. The board is manufactured by a lamination process that brings together the core of the product which consists of bubble shaped polypropylene and 2 solid surfaces of polypropylene to form a sheet. The cell structure of the bubble allows the sheet to be manufactured at a lower weight than other polypropylene sheets but still retain a strength and rigidity which outperforms its natural competition. The surface is matt white but can be made with other colours or finishes. It is corona treated to ensure maximum ink adhesion when printed and is suitable for both interior and exterior applications. Polypropylene sheet is 100% recyclable. 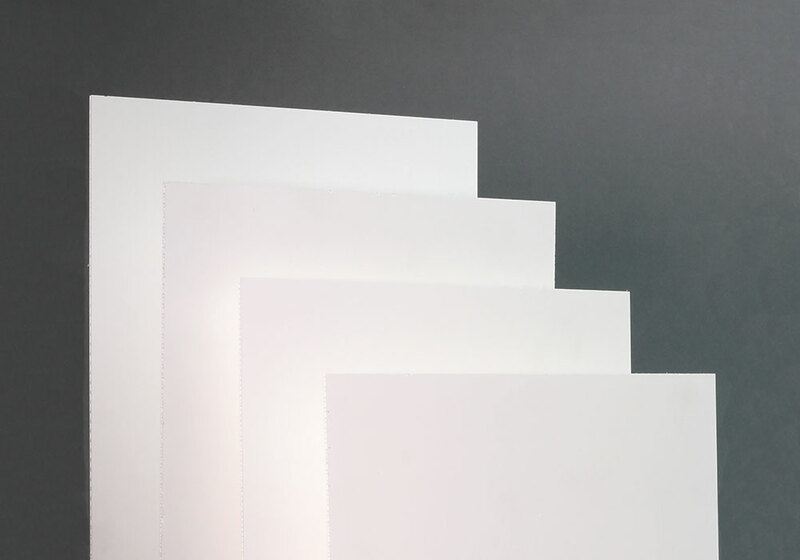 Bubble Print Board also contains a percentage of side trim and reworked material from the factory waste output making it environmentally friendly. Flame retardant and enhanced UV resistant specialities can also be made, please enquire with your branch for further details.